Shalom dear friends! Today we are going to be talking about the Holy Spirit. The Holy Spirit is our Helper, our Comforter, our Guide, our life partner, our Protector and much more. In order to further examine the topic, we are going to look into the book of John, chapter 14 verse 16. I believe that God is going to touch your life and minister to you through this teaching. Let’s begin to read this marvellous Scriptures that God has shown us. On that note, the book of John is one of the fundamental books concerning this topic. John’s Gospel is the only book that shows the last year of Jesus’ life on earth and involves virtually every Feast of the Lord. In this book, we often find Jesus teaching in the Temple at every Feast, declaring Himself the fulfillment of each one of them. Moreover, it is the only book that contains the marvellous revelation of Jesus and what He taught His disciples just before He went to the cross; particularly in chapters 14 through 17. Last but not least, the book of John so emphasises the deity of Jesus Christ. The book begins with “In the beginning was the Word and the Word was with God and the Word was God” confirming that He is not just the Messiah but God Himself. In chapter 14 and verse 16 we read where Jesus says, “I will ask the Father, and He will give you another Helper, that He may be with you forever.” In the 14th chapter of John we see that Jesus began to prepare His disciples for His departure. At that point, they had been with Him for three and a half years day and night. They saw the miracles He performed and were well acquainted with His ministry. They were with Jesus and could ask Him any question at any time and were given the answer. But upon hearing news of His departure, the disciples couldn’t fathom life without Him. With great sadness Philip said, “we don’t know where you going.” And they didn’t know what to make of the situation. Ultimately, what Jesus was pointing towards was the price He would have to pay prior to ascending to Heaven and being glorified. Jesus then said, “I will not leave you orphans, I will send you the Holy Spirit.” The father is the one who came down and spoke as is recorded in the Old Testament. Jesus had been with them as the Word that became flesh, teaching them for a period of time. But now, the Holy Spirit is going to abide with you for ever; therefore, you will never be orphans. That’s what it means to be born again by the Spirit of the Lord; when God is moving into our being by His Spirit. With that said, the Holy Spirit in our life is vitally important because it is through the Holy Spirit God dwells in the believer. God is tr-ion; He is the Father, the Son and the Holy Spirit as is presented through us with the spirit, soul and body. We are also a tr-ion being and that should be in unity. So essentially, what Jesus is saying is, “now I am sending you the Spirit because the Spirit of God activates everything that I said.” The Spirit of God activates the life of God in us and calls forth everything that is in the heart of God. In Psalm 42 we read, “deep calls unto deep.” The Spirit of God calls within our spirit, and this is when we have an encounter with God. This is the Holy of holies place, according to the Tabernacle of Moses; the place where we meet with God. It is here that we fellowship in the Spirit, this the place where we fellowship with God. In the passage, Jesus states that He is going to the Father and the Father will send the Holy Spirit through whom Jesus and the Father will dwell in the believer. The father, the Son and the Holy Spirit; three as One God. 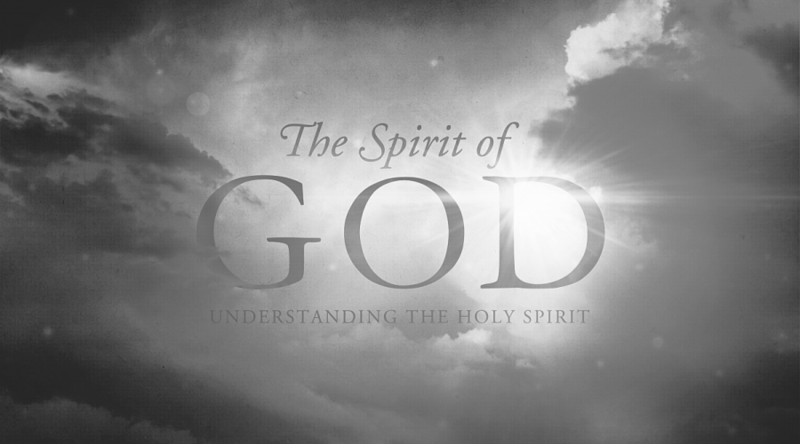 God cannot dwell by any other means within us, but by His Spirit, because God is the Spirit. Jesus is the Word of God and must be revealed by the Holy Spirit. So, Jesus is actively involved in our life today by the Spirit; He is the one who literally dwells within every born-again believer. That begs the question, what is the benefit of the Holy Spirit dwelling within us? We understand that the Father is all in all, but He will not fully manifest Himself without His Word revealed to us. Therefore, Jesus dwells within us, who is the Word of God. But the benefit we have of the Holy Spirit dwelling in us is that there is a bond of God’s perfection. The Holy Spirit brings the revelation of the Word of God, which is the heart of God as well as the Power of God and His attributes; the Spirit of God activates them all. As a result, we can live by the Power of God. We have the revelation of the Word of God as well as His heart and mind. In this chapter, Jesus explains that we will no longer see Him face-to-face nor talk to Him as the disciples did, but now our communication is moving to a faith phase. The Holy Spirit is well able to answer our questions and teach us. Jesus speaks to us today through the voice of the Holy Spirit, which is His voice. The voice of Christ is also heard through the agent of the Holy Spirit, which can be both audible or in our heart. God speaks and communicates to us by His Spirit within our hearts. That’s why Jesus said, “I will not leave you orphans, you will never be alone. I will be with you till the end.” Not only is that true for Him but for the Father, the Son and the Holy Spirit. Therefore, we now have the fulness of God within us. Therefore, I call myself a complete Jew, born again by the Spirit of God. I am now a fulfilled Jew because God dwells within me, the Father, the Son and Holy Spirit. I have my Messiah, my salvation, the Holy Spirit and all the attributes of God. This is what God desires for all Israel, which will be fully realized at the time of their salvation. Having said that, how do we have fellowship with God? It is through the blood of our Messiah Jesus and the Holy Spirit. By these elements, our spirit that was dead because of sin becomes alive by the Spirit of God. We cannot resurrect our own spirit, it must be done by the Holy Spirit. Just as the seed of Jesus was planted in the womb of Mary, the seed of the Holy Spirit was planted into our spirit by us being born again. Just as Christ was resurrected from the grave, our spirit also resurrected by the invasion of the Holy Spirit within our life. The Bible goes on to say in verse 27, “Peace I leave with you, my peace I give to you.” These are the words of Jesus; in accordance with Isaiah chapter 9, where He is referred to as the Prince of peace. He rules the peace that only God can give because it’s His peace. He goes on to say, “…My peace I leave with you.” That begs the question, how can God leave His own peace within us? It is through the Spirit of the Lord who is in manifestation. The Spirit of God brings the attributes of God as fruit. He brings the power of God along with peace. One who spends time with Him alone actually breathes God’s presence and invites Him to touch their life. The Holy Spirit is already within us, but when we worship and praise God we feel and sense His presence. So, what happens afterwards? You begin to be filled with the Spirit and His glory, and His mighty power! God said, that He dwells in the in the midst of the praises of His people. So, if you would like to have a greater experience with God, remember that only the Holy Spirit can bring God’s presence into your life. And when God’s presence surrounds you, then you feel comforted. Then the peace of God is activated, and you don’t just feel confident, but you receive something tangible because God’s actual presence has filled you. Remember, Jesus said another Comforter, or another Helper shall come. If you are born again through the blood of Christ, the Holy Spirit is within you. Give yourself to study of God’s Word, spend time in His presence, pray, worship and speak to Him. The more you want to communicate with God, the more of His communion you will receive. So anytime you think about God, any time you talk to God, any time you worship or read His Word, you touch the heart of God through the Holy Spirit who is within you. He is never too busy and anytime you say Jesus, anytime you say Lord, anytime you begin to uplift Him, He is there. He can talk to you, He can fellowship with you, He can speak to you and teach you. What a wonderful Helper and Comforter we have who will be with us for the rest of our life!